CESI 2014 Conference took place in Galway on the 28th Feb/1st March. Founded in 1973, CESI or Computers in Education Society of Ireland, has strived to deliver information and understanding to teachers on how best to use technology in the classroom. It has been a forum ‘organised by practitioners for practitioners…’, hosted on their busy website, as well as the usual social media and of course the annual conference. The conference offers a chance to meet those people you have spoken with throughout the year, as well as a chance to meet vendors and see what’s new on the market. Having been offered the chance to present on the Saturday, I drove up Friday afternoon in order to attend the TeachMeet event that evening. TeachMeet is a more informal event where presenters are given 2, 5 or 7 minutes to present something they believe would be of interest to the (largely primary/secondary school teacher) audience. They were encouraged to do so without PowerPoint, a big departure for those familiar with such events! Highlights included Mary Linehan’s (@linehanbm) presentation on using MineCraft in the history classroom. She demonstrated how the development of your character in MineCraft closely resembles the development of society through the ages, from agrarian societies through the iron-age and into the industrial revolution. A really interesting presentation, and no PowerPoint! Another standout presentation saw Bianca Ní Ghrógáin (@groganbee) demonstrate how she turned her pupils into piano keys. How? Well, by electrocuting them by the look of it!! All questions to @groganbee on the actual methods involved. This demonstration saw @groganbee trending higher for a time than the Eurovision qualifiers. The interest in the presentations saw the running times extend slightly. No one was in a rush to finish up and the TeachMeet ran into the early hours. Of course I retired at a reasonable hour, in order to be prepared for my own presentation the next morning! The next morning saw the venue move from the Clayton Hotel to the main GMIT campus and after a welcome address and keynotes, the breakout sessions began. Tom Lonergan, National Co-ordinator of the Professional Development Service for Teachers (Formerly NCTE) gave an impassioned speech about the use of wireless networks in schools, as well as touching on the BYOD phenomenon. Tom was anxious to warn schools to shop around when contracting for a wireless infrastructure contractor, as well as stressing the need for a substantial support contract. Other memorable breakouts were ‘An Introduction to the Raspberry Pi’ by Jake Byrne, ‘Open Education Resources, Portals and Communities, Supporting Innovation in Education’ by Neil O’Sullivan and a number based on the options around bringing CoderDojo into your classroom. I took the stage shortly after 12:30 to run through my presentation on licensing software in schools, with a specific look at the Microsoft and Adobe options. After running over the basics of software licensing, I discussed the potential benefits of certain agreement types over others. 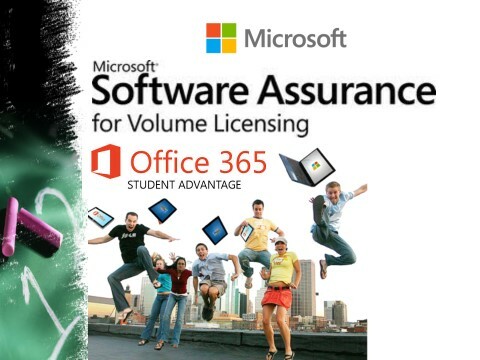 I also touched on the new Student Advantage benefit for schools with an annualised agreement which includes Microsoft Office. This benefit offers the school’s students the opportunity to deploy Office 365 Pro Plus on up to 5 of their personal devices. 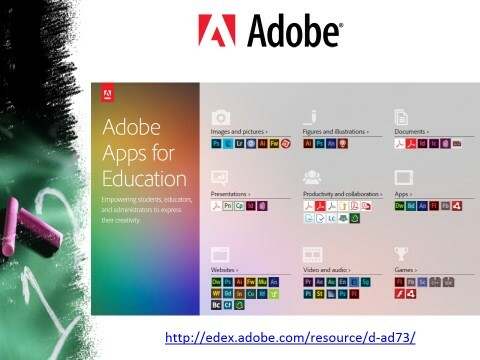 I also ran through the basics of Adobe licensing for schools, as well as highlighting such free resources as the Adobe Apps for Education and Adobe for Academics. Both of these resources offer training tools and forums for educators. The presentation was well received (I hope! ), with a number of follow up questions from teachers about their specific site requirements. If you would like to discuss the topics covered, or indeed run through the presentation itself, feel free to drop me a line directly at sean@micromail.ie. Looking forward to CESI 2015 already!